Club Penguin Cheats by Mimo777 Club Penguin Cheats by Mimo777: New Home Page And Start-Up Screen! 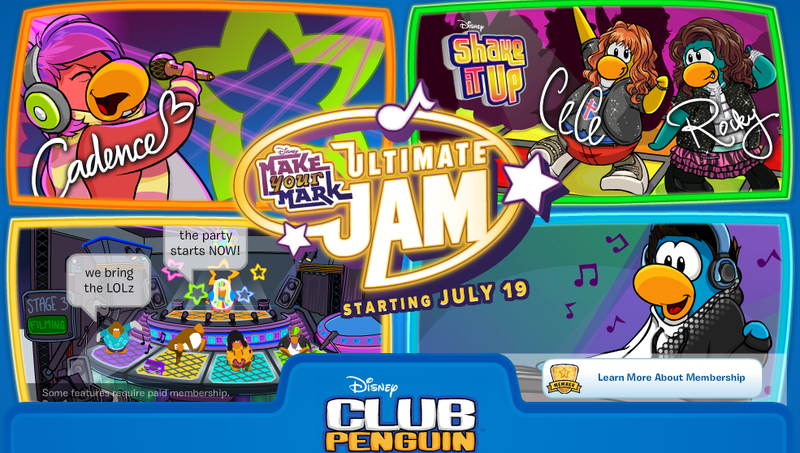 Check out Club Penguin's new home page and start-up screen advertising the Ultimate Jam party! 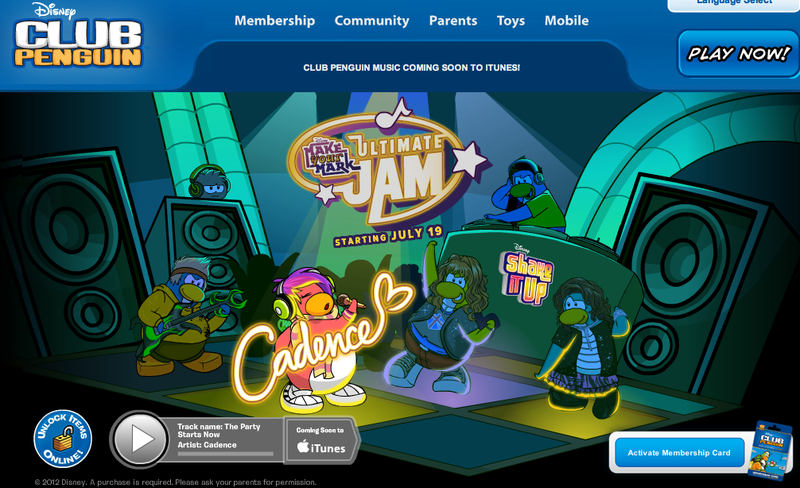 Cadence, CeCe and rocky are showing off their moves on the home page. What are you most exited for about this party? I'm most excited about everything!!!!!!! I just joined cp in January so I've never been to a cp music jam before. It sound EPIC! Maybe meeting Cece and Rocky but i know it will not be really them. I like that there is usually music in a lot of rooms for everyone. I like the rooftop, and there's usually a neat restaurant over the night club where I can use all my aprons to make different food appear on the tables. this party is going to be the lamest lame lame-o lame-fest in the history of lame lame-o lameness... Why? The shake it up weirdos are coming. 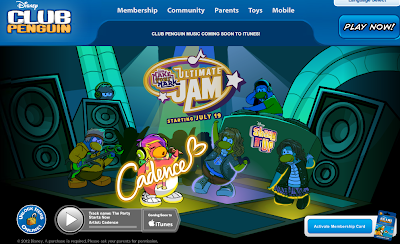 This looks Great I have been on cp sinsce 2009 and been to all the music jams but this looks better. We just had that boy war party for a long time. It's our turn. At least it will be happy music and dancing, not sad music and fighting. Can't wait to see Cadence again! Woo-hoo!